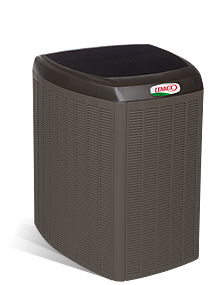 result in significantly lower energy bills and better indoor comfort compared to other heat pumps with a single stage compressor. Daikin’s DZ18TC heat pump with a high-efficiency two-stage Copeland® UltraTech scroll compressor and 5-millimeter condenser coil tube design offers efficient and cost-effective heating and cooling performance. It’s built in diagnostics constantly monitor your heat pump system and store up to six fault codes. Increase the effectiveness of your system year-round by combining your Daikin split system heat pump with a Daikin high-efficiency air handler. 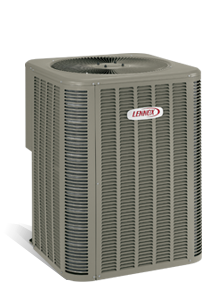 The Daikin DZ16TC heat pump with a two-stage Copeland® UltraTech scroll compressor and 5-millimeter condenser coil tube design offers efficient and cost-effective heating and cooling performance. It comes standard with a high density foam compressor sound blanket that permits for silent operation. Increase the efficiency of your unit year-round by combining your Daikin heat pump with a Daikin high-efficiency air handler. The Daikin’ DZ16SA heat pump with a high-efficiency Copeland® scroll compressor with advanced Copeland® CoreSense technology and 5mm condenser coil tube design offers efficient and economical heating and cooling performance. Its high density foam compressor sound blanket allows for quiet operation. Improve the efficiency of your unit year-round by combining your Daikin heat pump with a Daikin high-efficiency air handler. The Daikin DZ14SA heat pump with its high-efficiency Copeland® scroll compressor with advanced Copeland® CoreSense technology and 5-millimeter condenser coil tube design offers effective and cost-effective heating and cooling performance. Its high density foam compressor sound blanket permits quiet operation. Increase the efficiency of your unit year-round by combining your Daikin heat pump with a Daikin high-efficiency air handler. A DZ14SN heat pump with its high-efficiency scroll compressor and 5mm condenser coil tube design delivers efficient and economical heating and cooling performance. Enhance the efficiency of your system year-round by combining your Daikin heat pump with a Daikin high-efficiency air handler. The Mitsubishi Electric Zuba-Central is a tried and tested electric, low ambient, air to air heating and cooling heat pump system that offers superb energy efficiency in contrast to conventional systems. It installs easily into ductwork and is one of the most energy-efficient and cost-effective methods of transferring heat from one area to another. Ready to discuss Heat Pumps? 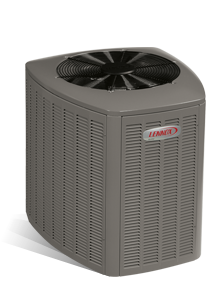 Heat Pumps	Overall rating:	5	out of 5 based on 31	reviews.